Can you escape our hardest game? Located in downtown Austin, The Escape Game offers an escape from ordinary life and allows you to live the stories you love. Here’s how it works: You and your team are locked in a room and have one hour to complete a mission and escape. Escaping will require teamwork, quick thinking, determination and a sense of urgency! In Prison Break, you're a prisoner and the merciless warden will be in a meeting for 60 minutes. Can you escape in time? Located at 405 Red River Street in downtown Austin, please check in 15-minutes prior to your game start time. 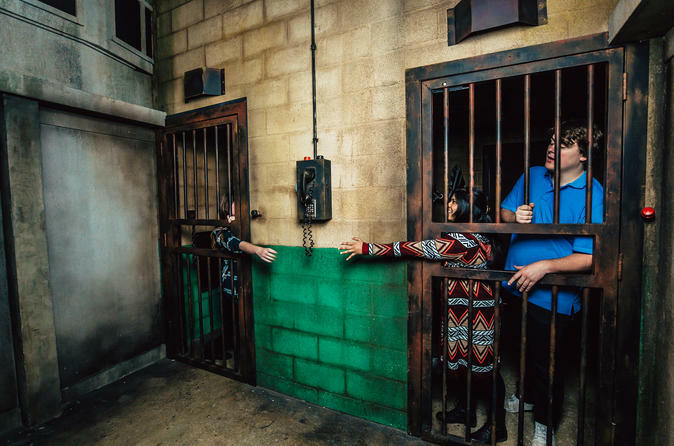 Our Prison Break Escape Room is an exciting, immersive game that takes you back in time. The year is 1955. You’ve been wrongfully accused of a crime, and sentenced to life in prison without the possibility of parole. Your new “home” is a cell that once belonged to an inmate who disappeared without a trace or did he? Some claim he escaped. Others swear he was murdered by the infamously cruel warden. But no one actually knows. Can you escape before you suffer the same fate?